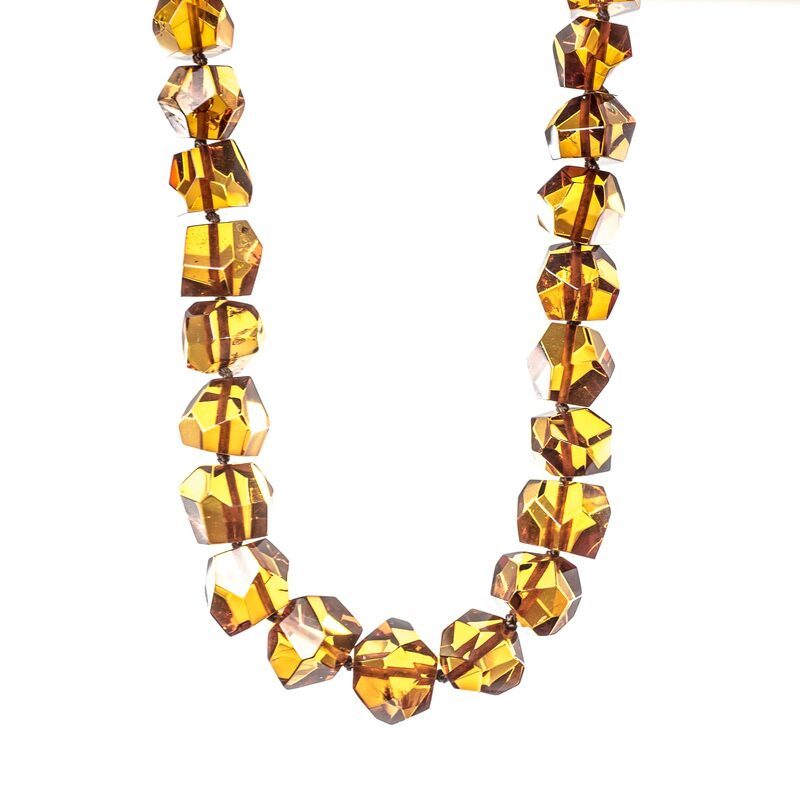 Natural Baltic Amber Necklace with Faceted Beads “Relax”. 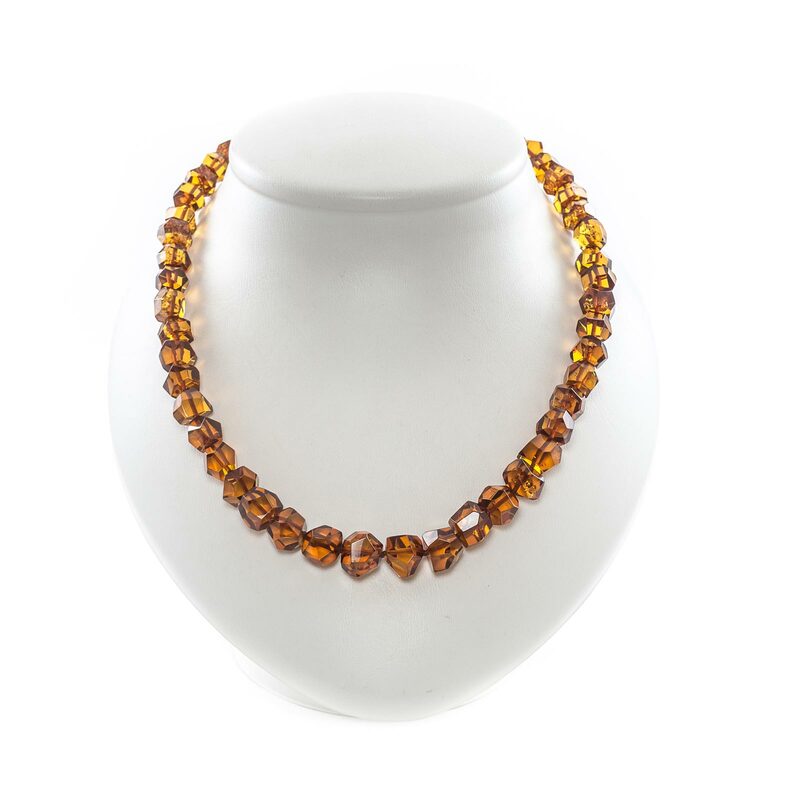 This spectacular bright necklace from natural Baltic amber sends around itself hundreds of bright highlights due to the diamond cut of the cognac colors beads. This elegant decoration will make you the queen of any evening, especially wearing an open neck. The necklace will create an aura of sunshine around you and fit the outfit of any color range. 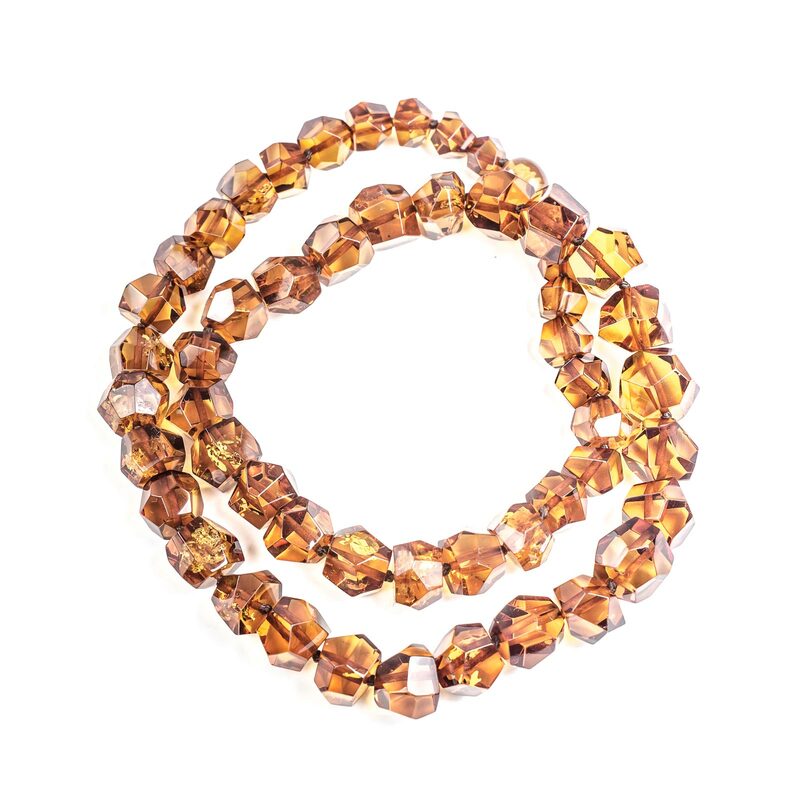 The measurement of amber beads from 7mm to 11mm. Designed and handcrafted by Amber Queen.